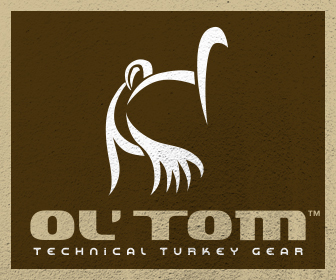 Each spring, when the strutters begin their dance and gobbles echo through the hollers, we get excited because we know turkey season is just around the corner! However, the number of turkeys there are to chase is influenced by many factors. As wildlife managers there are several things that we can do to help encourage healthy populations. There are also factors that are beyond our control. 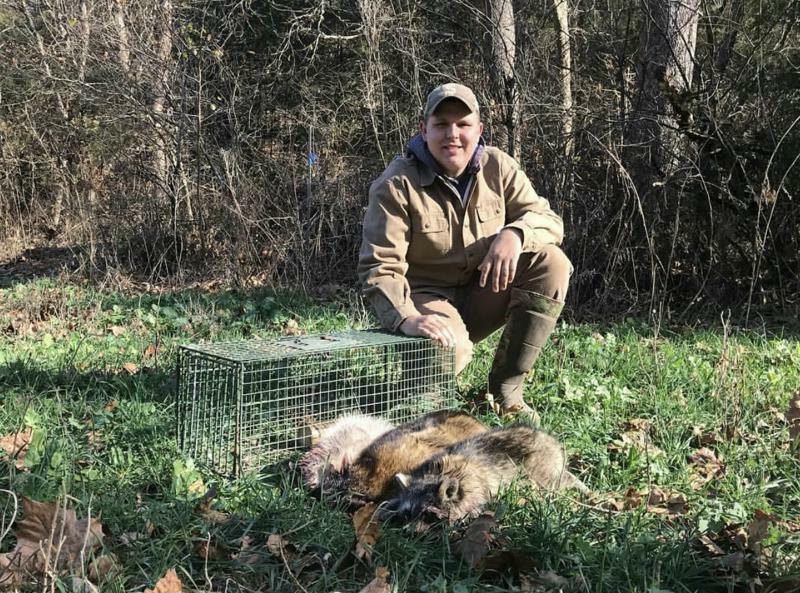 Each winter we use Duke cage traps to remove 50+ raccoons and opossums which are notorious turkey nest predators. By reducing the number of hungry predators, turkey eggs have a better chance to hatch and mature if the conditions are favorable. Another way we help encourage a successful hatch is by providing high quality habitat. We use prescribed fire during the late winter months to create ideal nesting habitat for the spring. The results following the prescribed fire are incredible! Native grasses and forbs are great for nesting and brood habitat. Hens can raise their heads above the vegetation and look for predators. This type of habitat is also a great bugging area for hens, so they can feed and nest in the same area. With fewer predators in the area and quality habitat, hens and poults have the ability to express their potential. However, rain is often an influencer of turkey numbers. Timely spring rains can destroy turkey nests or result in the death of young poults. 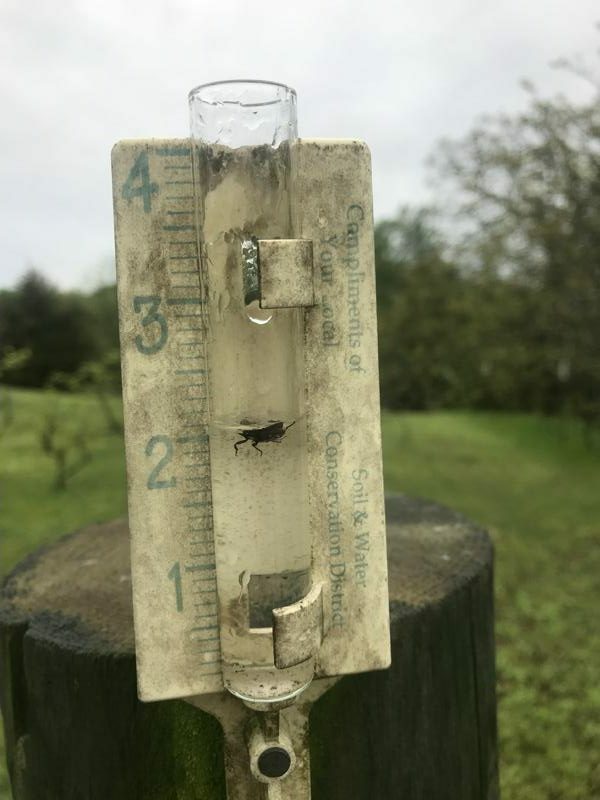 This spring we had several heavy rains during prime nesting season. We suspect that many nests were destroyed. We have not seen many poults and are now seeing another spike in turkey breeding behavior. Hens are likely re-nesting which will result in a later hatch. We can’t control all the factors, but as managers we can do our part to encourage healthy populations so there are plenty of longbeards to chase each spring! Why Exclude Deer From a Portion of a Food Plot? The answer is simple: I wish to allow some beans to express their full potential and make as many pods as possible. Beans that are browsed throughout the growing season won’t make as many pods as they could. Eagle Seed soybean pods are very attractive to deer, especially during the late season when it’s cold. Some food plots are small enough that deer will likely browse every plant during the growing season. • Can the area be approached, hunted, and exited without alerting deer? • Would it be better to remove the entire exclosure or just one side to create a bottleneck? By protecting all or a portion of the soybeans in a plot they will make as many pods as the conditions allow. Then create a gap in the fence or take it down when it’s time to hunt. • Always keep the fence charged! Deer will lose fear of a fence that doesn’t have a charge. • Weed eat or terminate any vegetation touching the fence to reduce the chances of a short and draining the battery. 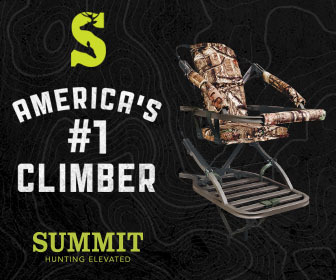 The Hot Zone allows hunters anywhere to have the fun and success common to those hunting in ag production by protecting soybeans even in a small plot. It also allows hunters in ag production areas to have standing beans to hunt after the commercial crops have been harvested! The daytime temperatures are forecast to be in the 90s much of next week at The Proving Grounds. These high temperatures are tough on critters. The problems deer experience during warm temperature are compounded when forage is also stressed. The weather can’t be controlled but we can reduce the impacts of stress to forage caused by heat. Most forage varieties can thrive in high heat if there’s adequate soil moisture. It’s not practical to irrigate most food plots. However, it is possible to manage food plots in a way to conserve the available soil moisture. Soil moisture is primarily lost through evaporation and plants lose moisture through transpiration (loss of moisture through pores). Researchers have studied the impacts of heat on soil moisture loss and the numbers are enlightening. The following data is from the NRCS publication at this LINK. At 70 degrees soil temperature, 100 percent of the soil moisture is used for plant growth. At 86 degrees, soil microbial activity begins to decline. From 95 to 113 degrees, 15 percent of soil moisture is used for plant growth and 85 percent for ET. At 113 degrees, soil bacteria start to die. At 130 degrees, 100 percent of soil moisture is lost through ET. At 140 degrees soil bacteria, the genesis of the soil biology, die. What’s an easy way to reduce surface temperatures of soil exposed to the sun? Add shade! That’s exactly what we’re doing when we use the Goliath Crimper to terminate crops. The crimped vegetation becomes mulch that shades and reduces the soil’s surface temperature! You’ve probably raked back some mulch in a garden or a wad of leaves, etc., and noticed there was more moisture there than in soil that was exposed to the sun. Ensuring the soil is always covered conserves moisture and reduces stress on forage. 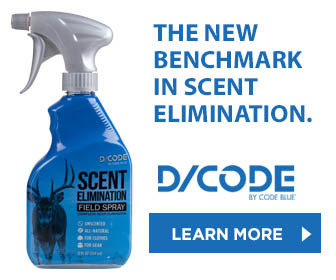 This results in healthier deer and larger antlers. This is another reason the Buffalo System of forage management produces better crops and cost less than conventional till and bare the soil practices. I encourage you to consider the benefits of the “Buffalo System”. I’ll be sharing more food plot strategies and techniques in future videos and blogs. 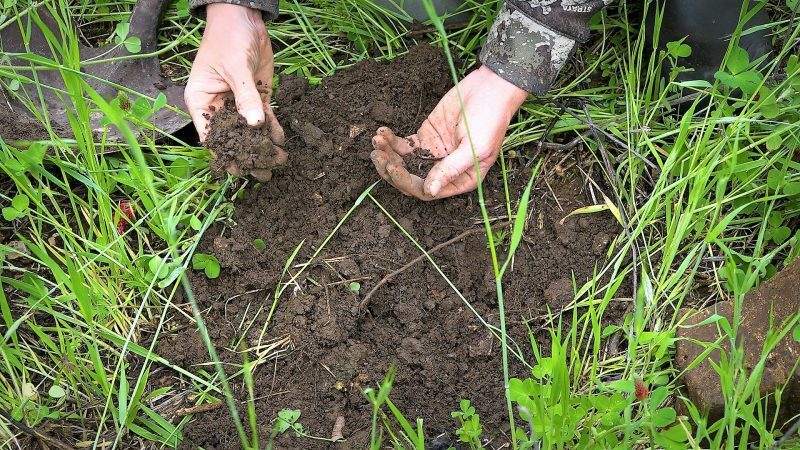 Implementing the Buffalo System in food plots allows several natural processes to literally create high-quality soil. One of the most important and productive processes is when the crimped forage decays providing food for earthworms. The more worms in the soil, the quicker the soil is built. Worms not only make soil – they are much better at tilling soil than any mechanical device. Research indicates that worms “can eat their weight in dirt each day. One acre of soil may contain up to one million worms. Those worms can produce around 700 pounds of castings each day. The castings contain nitrogen and other nutrients essential for plant growth. Worm compost improves soil structure and drainage while increasing nutrients.” Worms also till the soil by mixing layers and creating tunnels, helping air and water reach plant roots. Think on that fact: 700 pounds of castings a day! That’s a valuable addition on many levels! A 5-pound bag of worm castings at a garden center can cost well over $10! Being a worm farmer is financially rewarding! The presence of earthworms are extremely valuable to food plot farmers! In some respects, establishing food plots using the Buffalo System means that I am now a worm farmer. Monitoring worm populations (see 16:08 in this video) will be an important indicator of how well the soils are developing at The Proving Grounds. Why the Buffalo Food Plot System? Years ago the great prairie was always covered with vegetation. The forage there grew as many days throughout the year as possible. In this environment there grew a variety of plants. Buffalo roamed the prairie. Their herd movements along with wildfire served the regenerative process to build those great soils. As the North American continent was settled, farmers used European farming methods which included plowing the soil. This practice resulted in soil erosion and compaction. Soil compaction prevents the soil from absorbing water which results in run off and more soil erosion. In addition to inches (or feet in some areas) of soil being lost, so were important nutrients. Farmers developed sophisticated equipment and fertilizers in an effort to compensate for the soil quality reductions caused by these practices. 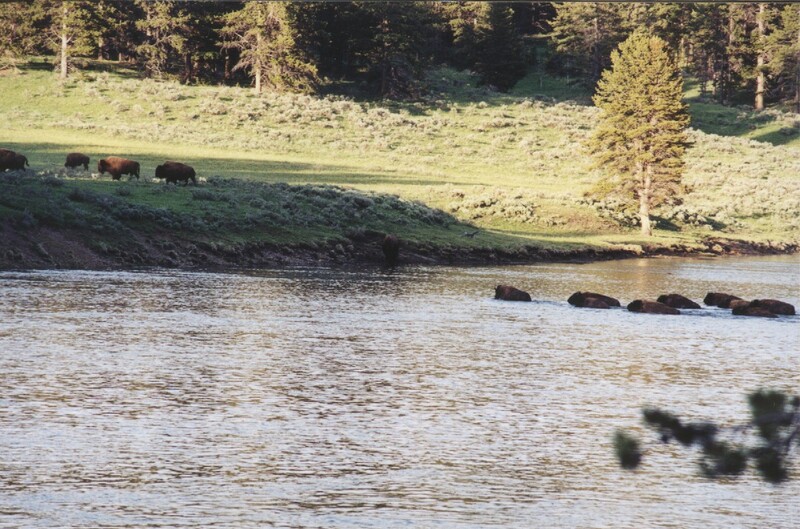 The Buffalo System is an improved practice that seeks to replicate the natural cycles of the great prairie. I’ve been using them here on The Proving Grounds with a resulting increase in soil fertility and soil actually created. I am a strong advocate for this system of food plot management as the benefits for soil conservation, animal health, and the overall environment are tremendous. I’ve used a variety of planting methods for food plots over the years. 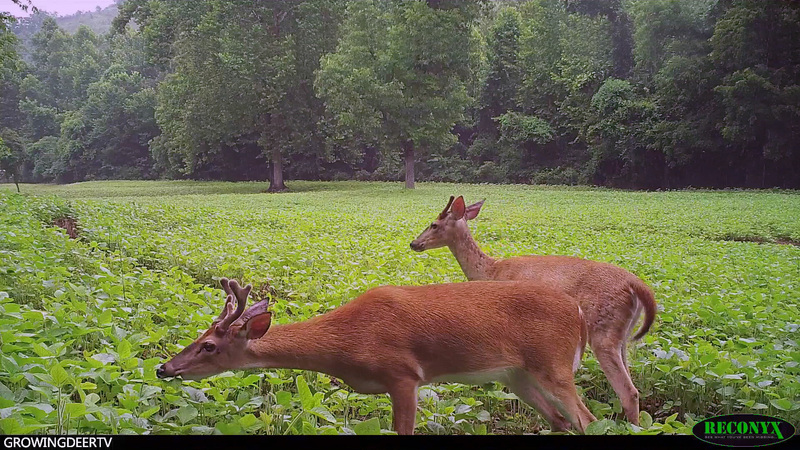 Food plots are a key tool for improving whitetail nutrition and hunting opportunities. 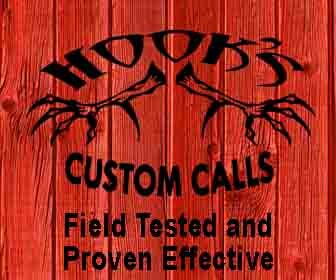 GrowingDeer was founded to provide hunters information so that they can have better hunting, bigger antlers. The “Buffalo System” is among, if not the, best technique I’ve found so far to produce better food plots and benefit the soil. Next week I’ll share another benefit of this improved method for planting and maintaining food plots. Food plot establishment and management techniques and the seed varieties have improved significantly during the past 25+ years. In 1995 Tracy and I visited New Zealand to learn about the forage varieties they grew to enhance antler growth in the red deer raised for meat and velvet antlers. 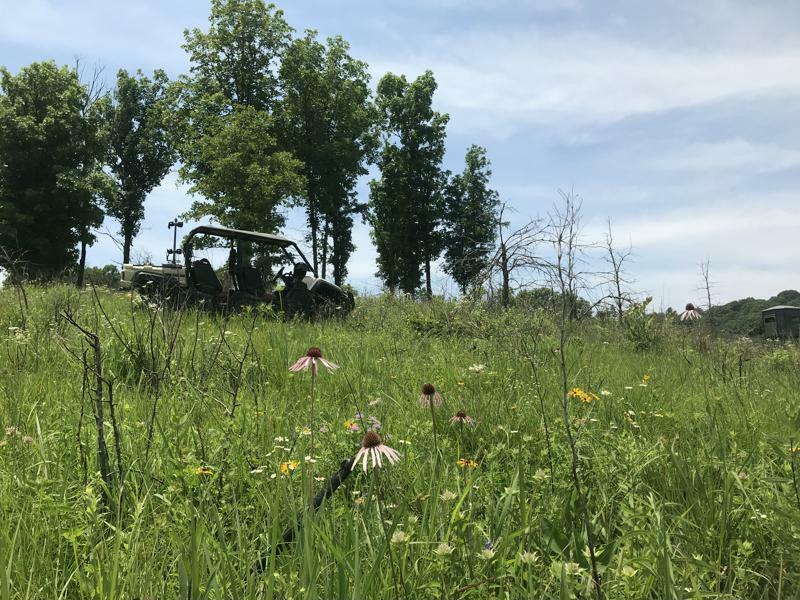 From that visit, we brought back information that transformed the way I approached food plots and forage for whitetails. On my hunting property (which I refer to as The Proving Grounds) I’ve researched, tested and implemented food plot practices and seed blends that maximize the quantity of quality forage. If these seed blends and rotations work here they will work on any property in the whitetails’ range. I’ve found a partner in Eagle Seed that combines my research and their expertise to get quality seed and seed blends with the right ratio of forage blends so that food plots are easily successful for food plot farmers. I use Eagle Seed’s fall blend. 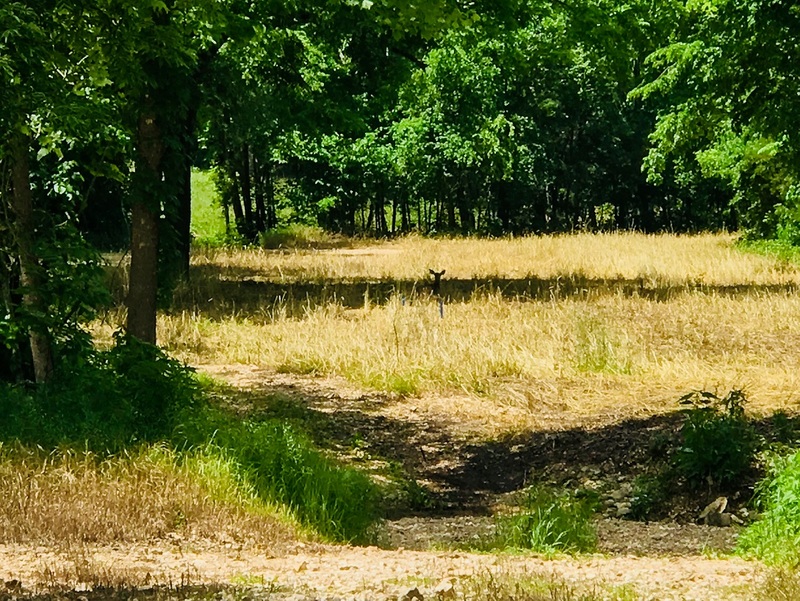 This blend serves as a time released food plot throughout the hunting season with some varieties growing and being more attractive during the early, mid, and late season. The blend produces an attractive food source throughout the entire fall. 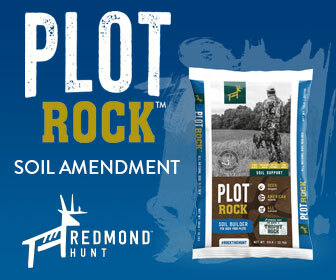 It’s the backbone of our hunting sites and providing the herd quality forage throughout the fall and winter. Poor soil quality can limit forage growth and make it taste bitter. Building a good layer of soil over time can do wonders for food plots. Due to past forest and land practices, there was not a good layer of soil at The Proving Grounds when Tracy and I purchased it. Through the years I’ve learned techniques we call the Buffalo System to improve the soil and forage quality. This soil quality improvement system is less expensive and requires less time than the traditional lime, fertilizer, till and plant system. I’ll be sharing more on the Buffalo System throughout videos coming soon. Regardless of where you hunt, you should focus on getting deer the nutrients that they need to grow healthy and strong. You can create the opportunity for a memorable hunting season next fall by maintaining great food plots during the coming year. 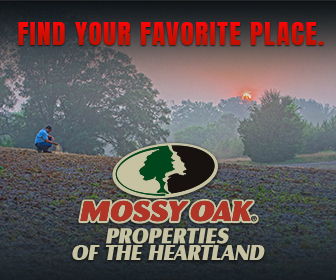 If you’re new to food plots, click HERE to see videos showing the details of our food plots programs over the years or use the search function on this website to learn about a specific technique or food plot crop. It’s been raining or snowing throughout much of the whitetail’s range recently. This unusually cold, wet spring has affected not only the turkey hunting, but also delayed our spring food plots. These same conditions of being too cold and wet extend across much of the country. Most crops that are planted this time of year have a relatively large and soft seed, such as Eagle Seed forage soybeans, corn, sunflowers, etc. These soft, large seeds easily absorb water as part of their germination process. They also need water to break dormancy yet also require a minimal temperature to begin the germination process combined with a higher temperature to stimulate and increase the rate of germination and development. Cold water (without an increase in soil temperature) will often result in the seeds swelling but not germinating or germinating and dying. The longer a seed, especially a relatively soft seed, remains in the soil without germinating there are more chances for insects, diseases, or fungus to attack. The result of delayed germination of soft seeds is almost always a reduced seed and/or plant vigor. It’s common for 50% or more of large soft seeds that are planted during bad conditions (especially when it’s too cold and wet) to die in the ground before they germinate. The surviving seeds can have reduced vitality even as a maturing plant (like a fawn that received poor nutrition during development or the first few months of life). 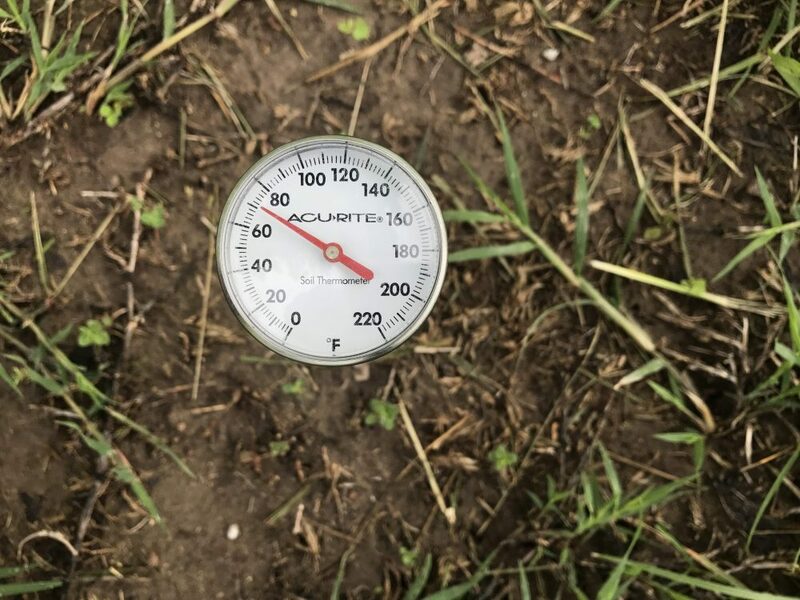 The first tip to ensure that you have a successful food plot crop is to plant when the soil temperature is within the correct range for your seed. For example, soybeans have the best germination rate when there’s adequate but not too much soil moisture and the soil temperature is a minimum of 60 degrees. Soil scientists recommend testing the soil temperature at 9 am as this is usually the coldest time of day at 2” deep in the soil. The soil cools all night and begins to warm once the sun is at an angle that its radiant heat impacts the soil. One of the best tools to ensure a successful crop is a soil thermometer or checking one of the many soil temperature websites. I use a soil thermometer (usually about $10 at most feed and seed stores) as soil cover, color of soil, soil moisture etc., all can affect the soil temperature substantially from field to field. If you’re planting food plots soon, don’t count on going by traditional or published planting dates. For the best chance of success plant when the local conditions are appropriate with soil temperature and enough moisture to ensure germination and growth. As we’ve all seen recently it’s vitally important to keep an eye on the extended weather forecast! Turkey Hunters Ask: Did You Hear That Gobble? I sometimes have to respond “No.” I shot a lot as a kid but didn’t use hearing protection. This damaged my hearing. I wish I had used hearing protection – even when hunting! Just one shot can result in damage to your sense of hearing. Here at The Proving Grounds I require all our hunters to wear hearing protection, whether it be when sighting in the guns or during the hunt itself. I also expect any by-standers, hunting partners, and cameramen to use hearing protection. I’m that serious about it. If we’re on the range, a shout of “fire in the hole” goes out to make sure everyone protects their ears – if nothing more than throwing their hands over their ears or simple ear plugs. Research shows that only about half of shooters wear hearing protection all the time when target practicing. Hunters are even less likely to wear hearing protection because they say they cannot hear approaching game or other noises. As I mentioned, because I’ve spent most of my life shooting I’ve lost a significant amount of my hearing. 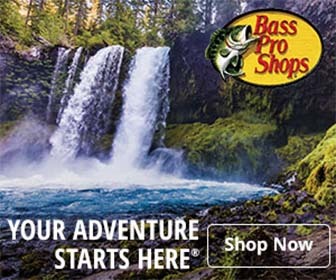 A friend told me about a product that could not only protect my hearing, but actually assist me in hearing those important sounds I need to hear in the woods – like the sound of a turkey gobble or a critter walking in the leaves. You’ll see me wearing a small, custom-fit digital hearing protection system found at https://www.wildear.com/ Since they are custom fit, they stay in my ears and are comfortable all day long. I don’t have to worry about adjusting them and making a lot of hand movements that might alert a gobbler. 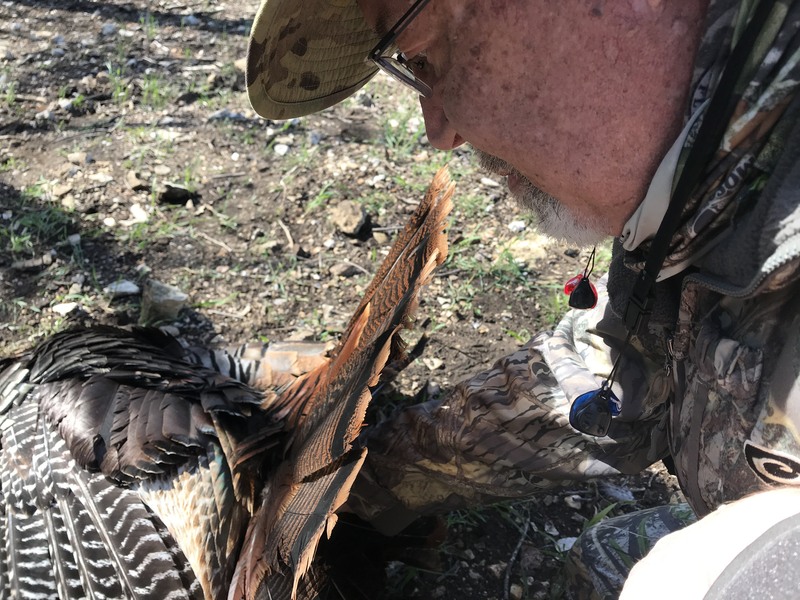 I have no doubt that if I hadn’t protected my hearing during these recent years I’d be hunting turkeys by blind calling or setting on plots – because I wouldn’t be able to hear them calling. Remember – even one shot of a firearm without hearing protection can result in a decrease in your sense of hearing. I encourage you to protect your hearing so you can continue to enjoy hearing all the sounds during the spring. It will likely help you locate a tom and will certainly help you enjoy all activities that much more.